Lung cancer is the deadliest cancer among both men and women. Most fatalities occur after the cancer spreads to other parts of the body through the bloodstream or the lymphatic system in a process known as metastasis. 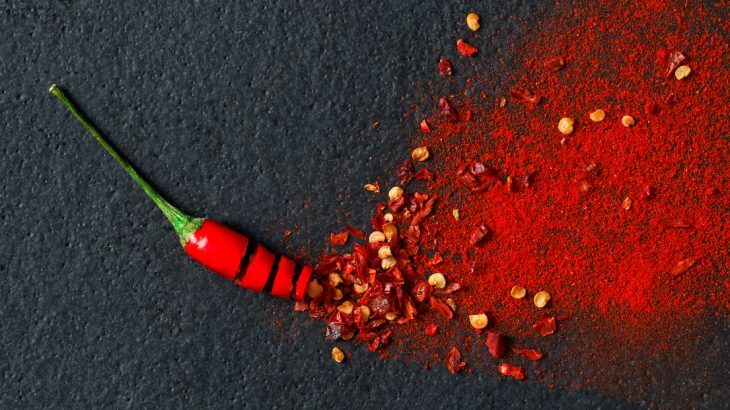 In a groundbreaking new study, researchers may have discovered a way to slow down the spread of lung cancer with capsaicin, the same compound that makes chili peppers hot and spicy. Jamie Friedman is a doctoral candidate who conducted the research in the lab of Dr. Piyali Dasgupta at the Marshall University Joan C. Edwards School of Medicine. The investigation was focused on experiments involving three lines of cultured human non-small cell lung cancer cells. The researchers found that capsaicin prevented invasion, which is the first step of the metastatic process. The team also observed that, among mice with metastatic cancer, those who consumed capsaicin had smaller groups of metastatic cancer cells in their lungs compared to mice who were not treated. The researchers are working to identify elements of capsaicin that retain the anti-tumor capacity of the compound without the spiciness. They are also hoping to find additional natural compounds with anti-cancer properties. The findings were presented at Experimental Biology 2019, the annual meeting of the American Society for Investigative Pathology.